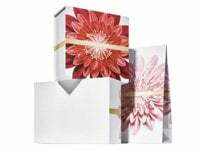 “Order”, means the instruction placed by a User on the Site for Clarins SA to supply the Products. “Personal Information”, means any personal details which the User provides in any way through the use of this Site, in any form whatsoever, which includes but is not limited to its names, postal and physical addresses, contact numbers, e-mail address and name of the employer and any other type of personal information as defined in section of the Electronic Communications and Transactions Act 25 of 2002 (ECTA) and section 1 of the Protection of Personal Information Act 4 of 2013 (POPI), each of which forms a separate data tag of information on the Site. “Product/s”, means the cosmetics and perfumery products sold by Clarins SA on the Site. “User/s”/ “You”, means the person who chooses to insert their Personal Information on the Site, which information is to be distributed and which Terms and Conditions apply to the User, as the context indicates. “Site”, refers to www.clarins.co.za, an e-commerce site accessible via the internet network. The Site is open to any User of the internet. 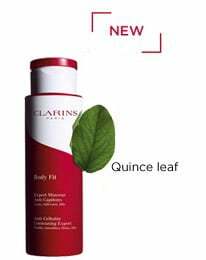 It is published by the company Clarins South Africa Proprietary Limited (hereinafter referred to as Clarins SA), a company registered in terms of the company laws of South Africa with registration number 2011/115636/07, and with its principal place of business at 17A Scott Street, Waverley, Johannesburg, 2090. Prior to submitting an Order by clicking the ‘submit order’ button on the payment method page, please save or print a copy of these Terms and Conditions to keep on file for future reference regarding the Order you are submitting. Please understand that if you do not accept these Terms and Conditions, you will not be able to Order any Products from this Site. 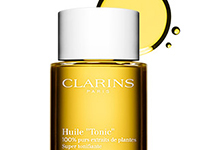 The Site enables Clarins SA to offer the Products for sale to Users browsing the Site. In accordance with these Terms and Conditions, it is agreed that the User and Clarins SA shall be jointly referred to as the “Parties”, and individually as a “Party”. By making use of this Site and the Products offered herein, the User hereby acknowledges that it has read, understood and agrees to be bound by these Terms and Conditions. It is stipulated that the User may make a backup copy or print these Terms and Conditions of Sale, providing that it is not modified. These Terms and Conditions come into effect as from October 2017. Clarins SA reserves the right to change these Terms and Conditions without notice and at any time. The Terms and Conditions which were applicable when you made your Order, will apply to your Order. These Terms and Conditions and any of its Annexures shall apply to the exclusion of any other document. 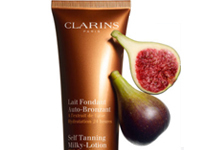 All the offers of the Products proposed on the Site are limited to www.clarins.co.za. Prior to placing an Order, the User may check the main features of any Products they wish to order, by consulting the Site. Purchase offers, including special promotions, are valid for as long as they are displayed on the Site. The prices shown on this Site are in South African Rand and the Products will be invoiced at the price in force when the Order is submitted. The price does not include delivery charges, which are invoiced in addition to the price of the Products, according to the total amount of the Order. Delivery charges will be shown to you before the User is asked to confirm the Order. Prices include value added tax (VAT), at the rate in force on the day of the Order and any change in the applicable rate will be automatically reflected in the price of the Products sold by Clarins SA on its Site. All Orders imply full and unreserved acceptance of these Terms and Conditions. you accept that Clarins’ order registration systems are proof of the nature of the agreement and its date. Each Order is limited to 5 (five) Products. In addition, within each Order, no more than 3 articles of any single Product reference may be ordered. When the Order is confirmed by clicking on the “Complete my order” button, you as the Customer declare that you have accepted the Order, together with these Terms and Conditions. A summary of the Order can be printed thereof. Once the Order has been submitted, a detailed acknowledgement of the Order will be sent to you at the e-mail address which you have provided. Our acknowledgement of your Order will specify the exact amount invoiced and details of delivery and implies our acceptance of your Order and confirms the transaction, subject to Order payment. In the event of one or more Products being unavailable once the Order has been placed, you will be notified by e-mail. The amount of the Order will be recalculated and you will only be debited for those Products which are available for delivery, with the price of the unavailable Products not being deducted therefrom. If the entire Order is unavailable, then you will be notified by e-mail and you will not be debited any amount for the transaction. You may also cancel an Order placed on the Site by contacting our Customer Services on Customer.RELATIONS@clarins.com. If you have cancelled the Order in writing within 7 (Seven) days from date of the Order, Clarins SA shall refund you within 30 (Thirty) days of receiving such notice of cancellation. If however, you inform Customer Service within 7 (Seven) days and the Order has already been processed, you cannot cancel the Order there and then. In this case, you must refuse acceptance of the Order when it is delivered. Clarins SA reserves the right to suspend or cancel any Order placed by you if a dispute exists regarding the payment of a previous order, or for any other legitimate reason, in particular related to the unusual nature of the Order. All Orders are payable in South African Rand and are inclusive of VAT. In order for you to pay for your Order, you must use the following method of payment: bank card or Paypal. The following bank cards are accepted on the Site: Visa, MasterCard, Maestro and American Express. In processing your payment of the Order, you confirm and grant Clarins SA the necessary authorisation required to use their chosen method of payment, when submitting the Order. In the event of non-payment of any amount owed by you, or of any adverse payment circumstances, Clarins SA reserves the right to suspend or cancel any Order and/or delivery, whatever their nature or state of progress in the Order or delivery may be. Charges on any unpaid amount will be automatically incurred at the legal interest rate of 10.5% per annum following a period of 10 (ten) days from the invoice date, or immediately after notification of rejected bank payment for all other means of payment. As part of the measures taken to prevent fraud over the internet, you consent to the information concerning your Order being sent to any competent authority for verification. To ensure secure credit card payment, you must enter the card security code of the bank card being used, into the payment portal of the Site. Secure payments on the Site are guaranteed by CyberSource. The Products will be delivered to the address provided by you when placing your Order, according to the selected method of delivery. Orders will be delivered within an average of 2 to 6 days as from the day on which the Vendor receives the order, according to the selected method of delivery and no later than 30 days as from reception of the order, subject to full payment of the price. Clarins SA in its sole discretion may suspend or terminate the sale of the Products provided on this Site, at any time whatsoever, and the User shall have no recourse in the event of suspension or termination. In the event of non-conformity of the Product, in particular due to an anomaly or an error in the delivered references, you can choose to return the Product to Clarins SA and be reimbursed thereof or to receive a replacement Product. You have a period of 30 (thirty) days as from the date of receipt of the Product ordered as confirmed by our delivery service provider, to return the Order Products at your own expense for reimbursement. The reimbursement of your payment for the Order will be made via the method of payment which you selected when exercising their right of withdrawal, no later than 30 (thirty) days following the date on which the right was exercised. 1. Use the original packaging must be sent with the Product, which is being returned. Any risk related to the return of the Products is borne by you. All Products remain the exclusive property of Clarins SA until such a time as payment of the sale price, including the purchase price, VAT and delivery costs have been paid in full. The Site and all content on the Site is provided on an “as is” basis, and Clarins SA makes no representations or warranties of any kind, whether express or implied, to the accuracy of the contents on the Site. Clarins SA does not warrant and accepts no liability that the functions and services provided by the Site will be interrupted or error free, or that the Site is free from viruses or other harmful components or for any damage resulting from a fraudulent intrusion by a third party, causing any change to the information made available on the Site. Clarins SA cannot be held liable for non-fulfilment of the Order due to stock shortages, except for cases of special price offers not intended to lower stock levels, or in the event of product unavailability due to force majeure. Clarins SA, including owners, directors, employees, officials, suppliers, agents and/or representatives shall not be liable for any direct or indirect damage, whatever the cause, origin, nature or consequences, including in particular any loss of profit, customers, data or any other loss of intangible goods that may occur as a result of the access by any person to the Site or the impossibility of accessing the Site. The User hereby indemnifies Clarins SA and its owners, directors, employees, officials, suppliers, agents and/or representatives from and against any loss or damages suffered or liability incurred in respect of any third party, which arises from the User’s use of this Site. Clarins SA is the owner of this Site and the contents thereof and Clarins SA retains all intellectual property rights thereto, whether registered or not, including all current and future content on the online platform, which is not owned by a third party, and nothing on this Site should be construed as a right to use or license of any of the intellectual property. In accordance with the Copyright Act 98 of 1978, as amended pertaining to ownership of literary and/or artistic rights, or other similar rights, this Site and all the elements, brands, drawings, models, photographs, texts, illustrations, logos, sequences whether animated or not and with or without sound, graphics, etc., to be found in this site, together with their compilation, are the exclusive property of Clarins SA, as it does not grant any license or any entitlement other than that of browsing the Site. Any use during browsing of this Site, in whole or in part, of these elements is authorized exclusively for information purposes only for personal and private use. Any reproduction and any use thereof for other purposes being expressly prohibited. Neither the Site (in whole or in part), nor its content or brands may be used, reproduced, duplicated, sold, resold, made accessible, modified or exploited in any other way, in whole or in part, for any purpose whatsoever, without prior, written authorisation from Clarins SA. Any other use will constitute an infringement. This Site is owned and operated within the Republic of South Africa. Clarins SA, as well as the User, hereby agree that these Terms and Conditions shall be governed and construed in accordance with the laws of the Republic of South Africa. The User hereby expressly consents, by its use of the Site herein, to the collection, use, processing, storage, transfer and sharing of its Information to the entities that are related to Clarins SA, including but not limited to Clarins UK and Clarins France and its service providers, provided that such sharing and transfer are in line with section 72 of POPI.